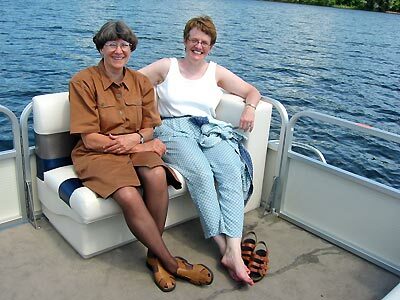 July 3, 2005: (l-r) Retired U. S. Air Force Lieutenant Colonel Shirley Hamilton, visited with Paula on the Minnow while she was in town. 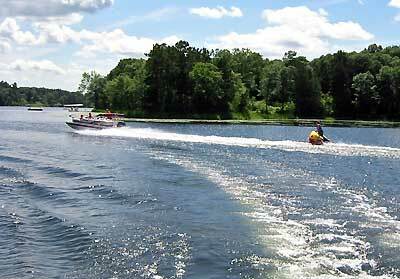 The Skipper, Mark, piloted "The Minnow" on this tour of Gilbert Lake at Gilbert Lodge. 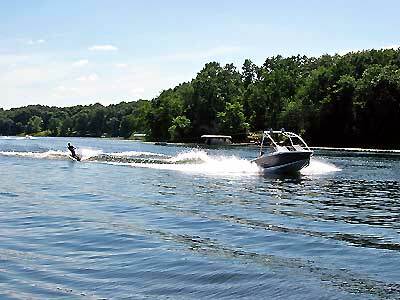 Water skiing is popular on Gilbert Lake and seen frequently in warm weather. Rafting behind boats is fun on Gilbert Lake too.